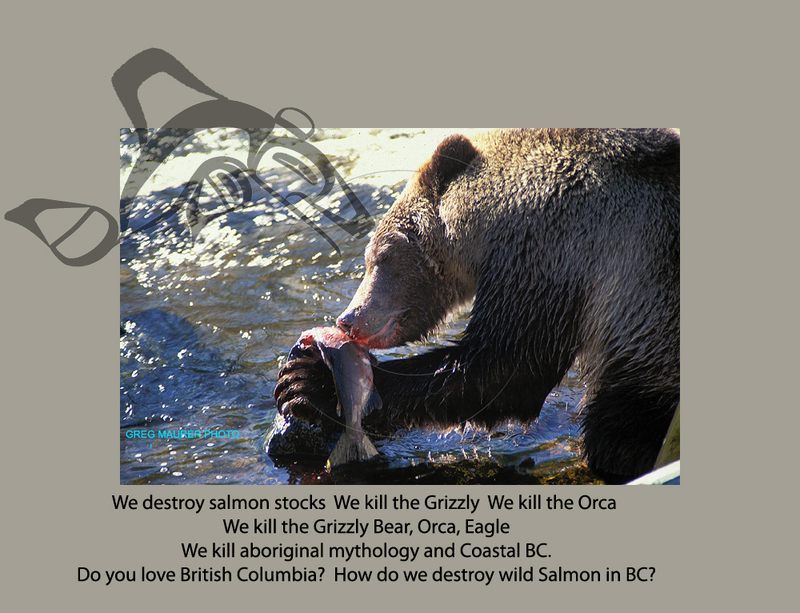 Do you Care About British Columbia? I was born in Vancouver. I have traveled to practically every corner of this province in basically every mode of transport possible. This province is special very few have intimate knowledge of the geography. Its physical, biotic, cultural attributes and their relationships. The ecosystems as an example are profound here but they won’t be if wilderness development continues. The realization of this appears to be way beyond the scope of the average person. Those that do realize the importance will defend it. Those who do not will not. The prevalence today is potential worth in economic outcome. If you can’t make a buck from it it is worthless. 2 Million did not vote in last weeks provincial election. Change did not occur. Do you want change to occur? 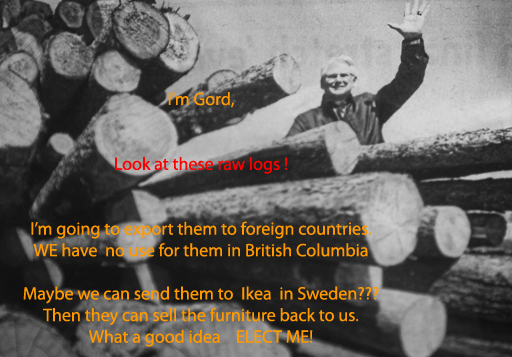 Do you want an oil pipe line to Prince Rupert from Alberta? Do you want oil tanker traffic on our coast? Do you want offshore oil development? Do you want to sit in traffic every day or ride a train to work? Do you want a pristine province? Yes it is election time in British Columbia. We have major homelessness, inadequate public transportation europeans laugh at us…even quadrupling the Port Mann is not going to help, poor health care, poor education, Paramedics do not have parity, The Grizzly Bear hunt still takes place, Industrialized corporate salmon farming is destroying our wild salmon stocks, we still export raw logs, we have no endangered species act, and an 8 dollar minimum wage could you live on 64 dollars a day? but we have the Olympics next year. 3 weeks I would have much rather had things taken care of at home seen those billions put into a Bullet Train out to Chilliwack and the poor taken care of. “How is it made?” Not, “Why is it made?” That’s not nearly as interesting to me. In the initial moment, how was this made? What happened? What happened when the artist put the pencil or pen or brush to paper? And because it is almost impossible, when you work on paper, to correct it, that initial moment is crucial. It interests me that somebody had the courage and the idea to make that original mark. that might, just might give change to another venue, thought, process. Its looking between the lines, taking the time to do so, and not asking the obvious.